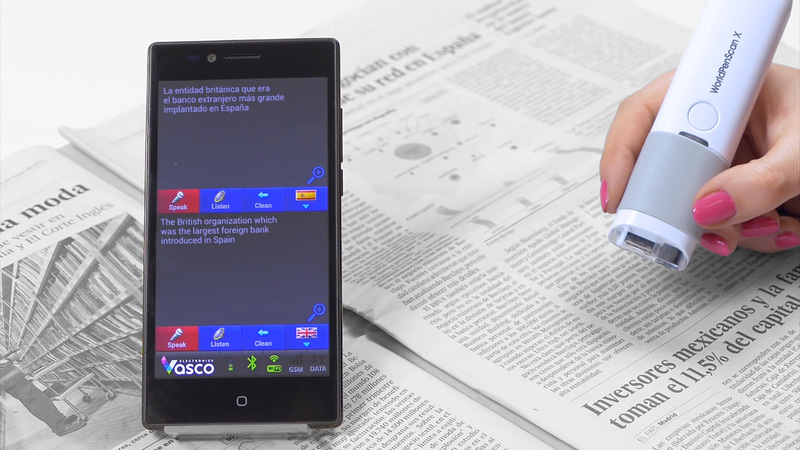 The Vasco Scanner is a device that enables fast translation of various printed text. After connecting the scanner to the device you can easily translate a letter, menu, newspaper, or even a book. Just scan a line of printed text to get its translation into the selected language. The whole process takes only a few seconds! The scanner can be connected to a notebook or PC thanks to Bluetooth or USB. Using included software, you can copy and translate any text on any device with Windows of Mac OS. The scanner currently works with Vasco Translator Premium 7", Vasco Translator Premium 5", Vasco Traveler Premium 7" and Vasco Traveler Premium 5". Buying the scanner together with the device you'll save 39 pounds!